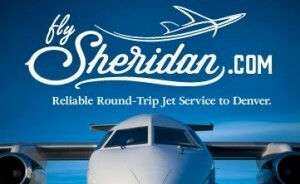 Sheridan, WY: The Sheridan Airport is now served by Denver Air Connection through Denver, CO. Go to FlySheridan.com for more information. We provide transportation for the 30-minute drive at no additional charge. Billings, MT: The Billings airport is served by most major airlines. Guests often rent cars for the two-hour drive, or Ranch transportation can be arranged in advance for $200 plus tax/Reservation. Casper, WY: The Casper airport is served by United via Denver and by Delta via Salt Lake City. Guests can rent a car for the 2.5-hour drive, or Ranch transportation can be arranged in advance for $300 plus tax/Reservation. Gillette, WY: The Gillette airport is served by United via Denver and by Delta via Salt Lake City. Guests can rent a car for the two-hour drive, or Ranch transportation can be arranged in advance for $200 plus tax/Reservation. *Transportation fees are as stated above whether one-way or round trip. *We do not provide car seats for young children, but booster seats can be available with advance notice.